Islamic State evolved from the Arab Spring and gained momentum due to the duplicity of certain world powers, the head of Russia’s Federal Security Service (FSB) has told a meeting of top security heads of ex-Soviet states (CIS) in Moscow on Wednesday. There are world powers that are using Islamic State (IS, former ISIL/ISIS) as a kind of “terror battering ram” to ensure their interests in Asia and Africa, said FSB director Aleksandr Bortnikov. In pursuing their goals with IS, these countries have put the world on the verge of a global religious and civilizational crisis, he added. Russia's security agency chief also said that with parts of the Taliban movement in Afghanistan joining Islamic State, there is an imminent threat of the terrorists invading Central Asia. 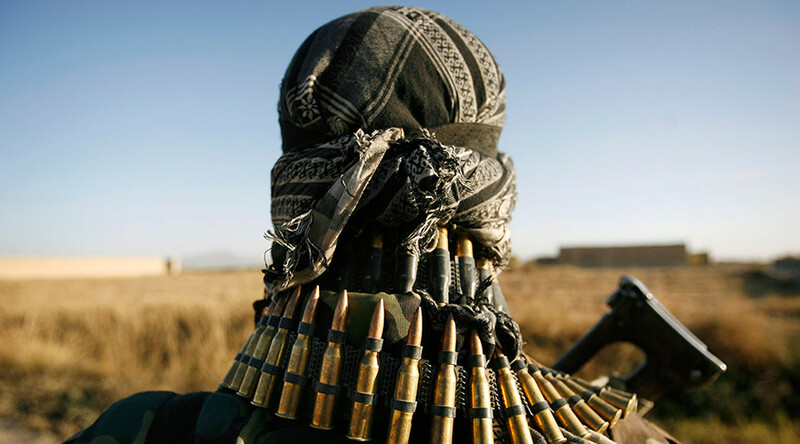 "The escalation of tension in Afghanistan is causing serious concern. Numerous IS gangs that are part of the Taliban movement are currently concentrated on the northern borders of that country. Some of them have joined Islamic State, which has dramatically intensified the threat of a terrorist invasion of Central Asia," said the FSB chief. Terrorist forces are attempting to turn the Middle East and North Africa into a bridgehead to destabilize other countries, said Russian President Vladimir Putin. Growing terror activities and the merging of radical groups with organized crime presents a threat of special concern, the Russian leader said in a welcome address at the meeting of CIS security heads. “The terrorists are using the region as a foothold. They are recruiting and training new militants, which could be used for destabilization efforts in other countries,” Putin said. Aleksandr Bortnikov stressed that incidents on the borders of Russia’s regional partners are already taking place. Militants returning to CIS countries from various hotbeds are bringing instability back home, he told his colleagues. “Having obtained practical experience in conspiracy, blasting work and urban combat, these fighters are creating autonomous combat operations cells, ready to stage terror and subversive acts. The terrorists and their sponsors aim to destabilize the situation in CIS countries,” Bortnikov said. After the ineffectual US-led anti-terrorist coalition in the Middle East, Russia responded to pleas from the Syrian leadership and gave military support to Damascus. Bortnikov specifically emphasized the necessity to strengthen border controls in Central Asia. He advocated closer cooperation in cutting off the routes of the militants traveling to and from conflict zones, and eliminating the means of financing terrorism and preventing recruitment efforts in our countries.